Three decades of DORO - three unforgettable nights - forever captured on three DVDs and two Blu-rays; including an two-hour plus, great music movie, which delivers deep insights behind the scenes and inside the heart of DORO. 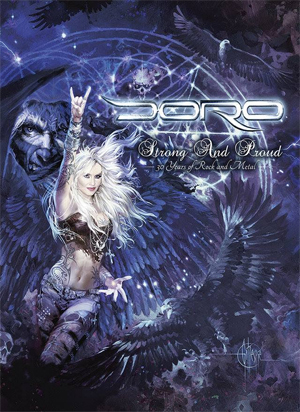 Nuclear Blast releases this incredible DORO anniversary package on June 24th, Strong And Proud - 30 Years Of Rock And Metal. A video for “Raise Your Fist In The Air” - Live At Wacken can be seen on KNAC.COM right HERE.